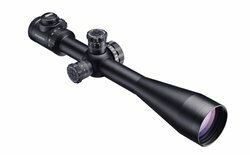 Long range riflescope developed for sniper rifles. The Designed and built for long range precision shooting this 6-24x56 illuminated optic is well suited to sniper rifles in 7.62x51 NATO or .338 LM or 12.7mm calibers. Optimized for day and nighttime use its RD illumination system provides 256 levels of reticle intensity with ocular mounted pushbutton operation... delivering the control and sensitivity required in extra-low light. 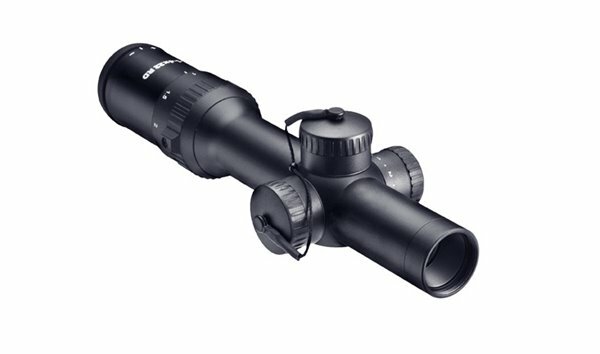 A massive 56mm objective with MeoBrightTM ion-assisted multi-coatings deliver maximum light and resolving power to your eye for excellent target discrimination at higher magnifications. Tactical turrets in MIL deliver precision click adjustments for fast, intuitive shot correction in the field. ZD gives you the long-range power to engage when others have reached their limits. RD equipped riflescopes feature a highly defined illuminated red dot reticle. A third turret controller allows the user to choose between a minimum of seven reticle intensity settings for extremely low-light to bright daylight conditions. Intermediate off positions between every setting allows the user find their preferred illumination setting quickly. 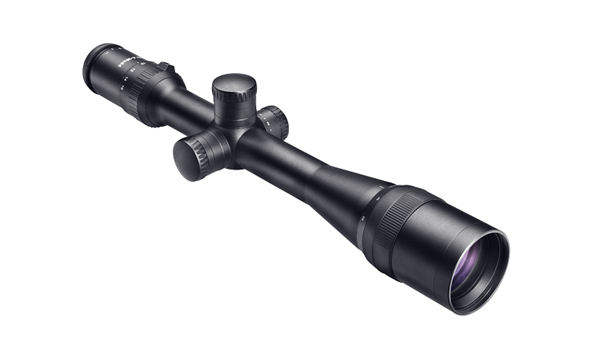 True 1x magnification for rapid, eyes wide open target acquisition. Precision illumination and unequalled long range accuracy.